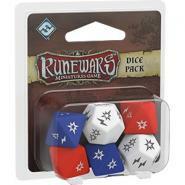 Your set of custom dice is essential to claiming victory during a game of RuneWars: The Miniatures Game. 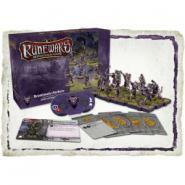 After all, you may be able to maneuver and wheel your troops perfectly into position, but you will want to have your dice close at hand when it is time to attack. Like the Oathsworn Cavalry, these figures are identical to the figures included in the Runewars Core Set, and this expansion gives you an easy way to raise more undead to fight for Waiqar the Undying, while opening dark new paths with five new upgrade cards.